Shell has been at the forefront of digital technologies for decades, from the advent of underwater robots in the 1970s to today’s high-performance computers helping to detect new energy resources deep beneath the earth’s surface. The march of technology is changing how we operate, from better and smarter maintenance and repair of our deep water facilities, to finding new energy sources thousands of metres below the earth's surface. 3D printing enables rapid prototyping for engineering designs that save on research and development costs, while Smart Fields technology harnesses digital detection systems that have been known to increase the total amount of oil recovered from a field by up to 10% and natural gas by 5%. Through our network of technology centres around the world, we work alongside IT companies, consultancies, and research universities. We also invest in innovative technology companies and start-ups through our venture capital arm, Shell Ventures. One of our biggest challenges is to locate and develop new resources of oil and gas that society needs, in a way that is economically competitive and environmentally responsible. The digital revolution is helping that transition with affordable sensor technology and storage capacity, making it easier to capture vast volumes of seismic data. 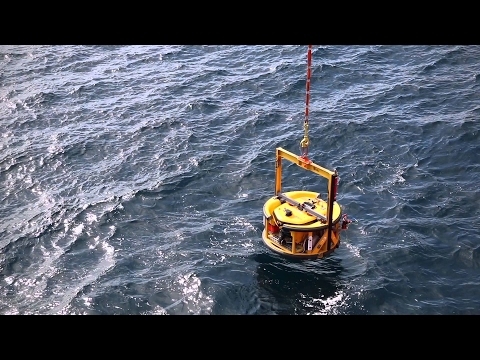 For example, Shell has developed and trialled an autonomous underwater inspection vehicle, which propels itself to pre-set locations to record seismic signals before returning automatically to the surface. Readily available processing power and advanced software allow us to create detailed visualisations. These enhance geologists' ability to peer beneath the subsurface and pinpoint hidden resources. Digital devices are becoming increasingly sophisticated and interconnected. This networking of connected devices, dubbed the “Internet of Things”, is set to change many of traditional assumptions about energy storage and usage. Shell Ventures recently invested in Sense Labs, which has developed a connected device that lets households monitor the energy use of any home appliance – not only smart ones – via a mobile app. Shell is working on new digital technologies in several areas which have the greatest potential for our business. We use 3D printing for rapid prototyping of engineering designs. This enables us to test components on a small-scale in materials like plastic before developing them on an industrial scale. For example, working on the Stones deep-water project in the US Gulf of Mexico, the project team were able to save several months as they developed a mooring system for a floating production, storage and offloading vessel. Remotely controlled or autonomous robots can carry out tasks safely in places where people are unable to venture, such as the deep ocean, and places where additional protection is needed. Sensabot, which Shell developed alongside Carnegie Mellon University in the USA, is capable of inspecting oil and gas field equipment in the most challenging environments. Read the story “A bionic inspector rolls in”. The PETROBOT robots, developed with the support of the European Commission and in collaboration with nine other companies, can assist in the remote inspection of pressure vessels and aboveground storage tanks. This will allow our colleagues to work at a safer distance. We are also using remotely operated aerial vehicles – often called “drones” – to inspect our offshore plants and facilities from the air. These are able to quickly examine facilities that engineers would otherwise need to erect scaffolding to reach, or abseil down from. Read the story “Eye in the sky”. When not using them ourselves, we give marine scientists access to our remotely-operated underwater vehicles, helping them discover more about life in deep water. This has led to the discovery of new species. Read the story “How underwater robots shine a light on sharks”. High-performance computing (HPC) techniques generate detailed visualisations of the subsurface from vast quantities of seismic data, supporting the search for new resources. With Shell GeoSigns software suite, and other proprietary technologies such as our Wide Angle Azimuth (WAZ) toolkit, we can turn seismic data into detailed maps. This technology helps geologists locate hydrocarbon deposits faster and more-cost efficiently than ever, including hard-to-find resources. For example, Shell geologists using GeoSigns and WAZ discovered more than 150 million barrels of oil in an area thought to be dry, beneath complex subsurface salt structures, in the Deimos field, in the US Gulf of Mexico. Our Olympus platform today produces 100,000 barrels of oil equivalent (BoE) at the field. 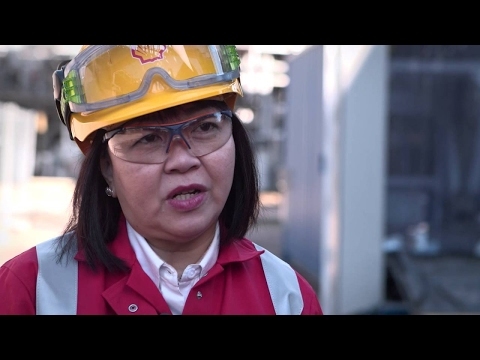 The next evolution of Shell’s modelling and optimisation software is called Shell PetroSigns – a package which offers greater integration between teams. It also contains tools helping production teams optimise the extraction of oil and gas. Digital sensors installed in our operations around the world – from production fields to manufacturing complexes – produce a constant flow of data which we analyse to improve processes and take better business decisions. For example, our Smart Fields approach uses state-of-the-art sensor technology to monitor and optimise recovery from oil and gas fields. Smart Fields have been known to increase the total amount of oil recovered by up to 10%, and natural gas by 5%, while boosting the rate of production. Our Smart Connect technology collects data from sensors installed in chemical plants, refineries, offshore platforms and subsea pumps. The technology can optimise the performance of plants by predicting when maintenance will be needed, to avoid unplanned downtime and lost productivity. More than 5,000 machines globally connect to the system, which is thought to have saved more than 3.5 million barrels in lost production since its introduction. The emerging Internet of Things is bringing internet connectivity to everyday objects and devices. Our venture capital arm, Shell Technology Ventures, has invested in Sense Labs, which has developed a home energy usage and awareness device and connected platform called Sense. A unit connected to the home power supply learns to measure the energy consumption of all appliances and devices, and sends real-time updates to an app. Apart from helping customers to make their homes more energy-efficient and reduce costs, Sense can recognise events, such as people returning home, by the use of devices. Personalised services delivered though smartphones and tablets help customers get the product or service what they want from Shell. For example, the award-winning Shell app for smartphones gives drivers access to Shell offers, their loyalty card balances, and helps them to find the nearest Shell filling station. In the UK, the Shell Motorist app offers customers a service called Fill Up & Go. Customers choose how much they want to spend, scan a code on the petrol pump, then fill up. A receipt is delivered to their phone. Other apps, which we have designed for aviation, marine and lubricants B2B customers, help to ensure the products they need are available in their locations globally, around the clock. Our scientists, researchers and engineers are developing innovative technologies to help meet the world’s growing need for energy more sustainably. We use advanced technologies to uncover increasingly hard-to-find energy resources trapped in porous rocks beneath the land and seas. We invest, either as a venture capitalist or development partner, in companies to co-develop novel technologies relevant to our business. The latest manufacturing technology could change how virtually everything is made, one layer at a time. It is grabbing headlines and powering virtual currency. But what is blockchain and how can it change the energy industry?